Brother MFC-250c Printer The purchase of your NEW Brother MFC-250c ink cartridges has never been easier! 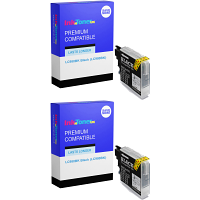 - InkNTonerUK are a supreme and economical retailer via the web, were you can purchase ALL the essential Brother MFC-250c ink cartridges you require in order to keep functioning your Brother MFC-250c printer to its full potential! 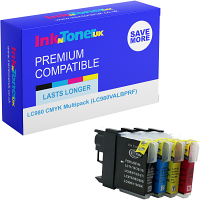 Save yourself some money each time you purchase, as we vend the appropriate ink cartridges you need at appreciably cut-rates with contrast to our leading competitor rates, you'll forever maintain your MFC-250c printer with a smile! The Brother MFC-250c ink cartridges that are bought from us are ALWAYS of the highest possible quality, as shown in the prints it will produce And have an ink capacity level to the highest measurements possible, for longer-lasting ink cartridges! Get cracking, and purchase your NEW Brother MFC-250c ink cartridges right here, right now at InkNTonerUK! With the ability of generating speedy first-class prints, scans, copies and faxes at speeds of UP TOO; 27 PPM (Prints per minute) in Mono (Black), and 22 PPM in Colour, the use you function your Brother MFC-250c printer for is of a wide-ranging preference, having a purpose for every one! 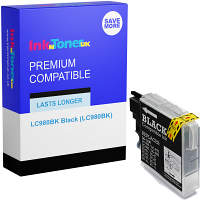 Your NEW Brother MFC-250c ink cartridges aren't deprived as to how they can show off their quality! The Brother MFC-250c printer can be used in any situation where the service of printing is required, however its sizes indicate ideal usage amongst smaller medium sized and home based offices (15.4 x 14.4 x 5.9 cm (W x D x H))! This product is a trustworthy appliance, presenting premium results, swiftness, consistency and practicality! You can NOW get MORE of the function from your MFC-250c printer you NEED, as you will NOW be purchasing MORE of the requisite Brother MFC-250c ink cartridges as and when it is essential for you! 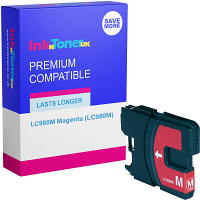 - The InkNTonerUK team advise you to 'Bookmark' this page for a straightforward way to get right where you are now, each time you necessitate NEW Brother MFC-250c ink cartridges!